A 3-in-One combination unit. Children can bash about the themed pop-ups and bounce on the spacious floor, then slide out the opening near the tail. 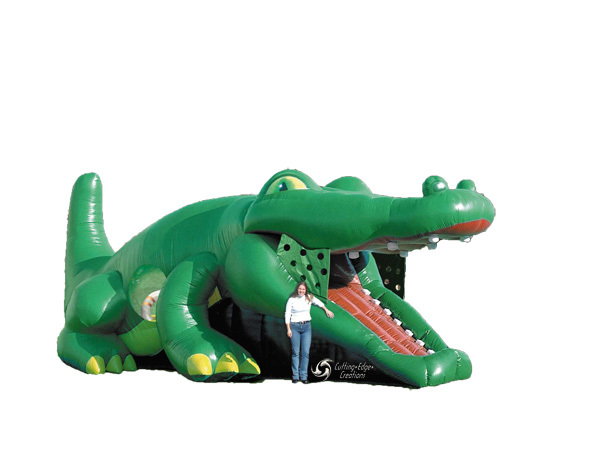 * Please call us with any questions about our inflatable gator hide n slide rentals in Columbia and Jefferson City MO.